If you are looking for German auto repair, German auto repair near me or German car service in Scottsdale, Bridwell Automotive Center can help! Bridwell offers German auto repair services for Mercedes, BMW, Audi, Porsche and Volkswagen vehicles. Our German Auto Mechanics offer the highest quality auto repair services in North and South Scottsdale! Schedule your German car service, maintenance or auto repair by visiting our shop at 7171 E Lincoln Dr. Scottsdale, Arizona 85253 or by giving Bridwell Automotive Center a call today (480) 948-4781. If your German automobile is not driving like it should or has a check engine light on, stop into Bridwell Automotive Center today for a free German auto repair quote. Request your free German auto repair estimate by giving Bridwell Auto Center a call at (480) 948-4781 or by visiting our service center located at 7171 E Lincoln Dr. Scottsdale, Arizona 85253. Our hours of operation are from Monday thru Friday 7:30AM-5:50PM and Saturday from 8:00AM-4:00PM. We also offer pick up and drop off 7 days a week from 6:00AM-9:00PM. Bridwell offers German auto repair for all brands of German cars, crossovers, and SUVs. Allow our highly trained and experienced technicians to find the problem with your German import vehicle and provide affordable and efficient repairs. Our team has been repairing Scottsdale’s German autos for more than 45 years. Trust the team that has the right tools, training, and will provide the best quality repair service for your Mercedes, BWM, Audi, Porsche, or Volkswagen. Common problems with Mercedes include ignition issues, inability to shift out of park, fluid leaks, and rough running engines. 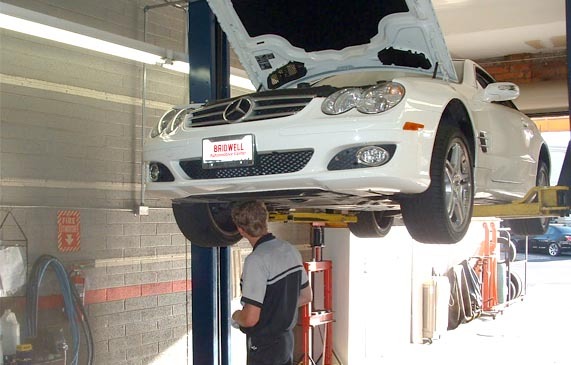 We offer professional Mercedes auto repair services to help you fix these problems and more. Click here to read more about common Mercedes problems. Common problems with BMWs include windows that won’t open or are slow, electronics that misbehave, and wild window wipers. We offer professional BMW auto repair services to help you fix these problems and more. Click to read more about common BMW problems. Common problems with Audi include things like burning oil smells and leaks, clicking sounds while making sharp turns, and coolant leaks. We offer professional Audi auto repair services to help you fix these problems and more. Common Porsche problems include things like heavy clutch pedals, no power or low battery, and oil leaks that cause burning oil smells. We offer professional Porsche auto repair services to help you fix these problems and more..
Common Volkswagen problems include sludge filled oil, airbag lights that malfunction, faulty check engine lights, and coil failures. We offer professional VW auto repair services to help you fix these problems and more. Our ASE certified mechanics can repair and service any make and model of German car, truck, or SUV on the out on the road. Furthermore, our preventive automotive maintenance services will keep your German vehicle in top condition. We also offer most extended warranty repairs! We can handle all of your routine auto maintenance to keep your vehicle under warranty, and well below the cost of what a dealership or specialty shop might charge for the same services. 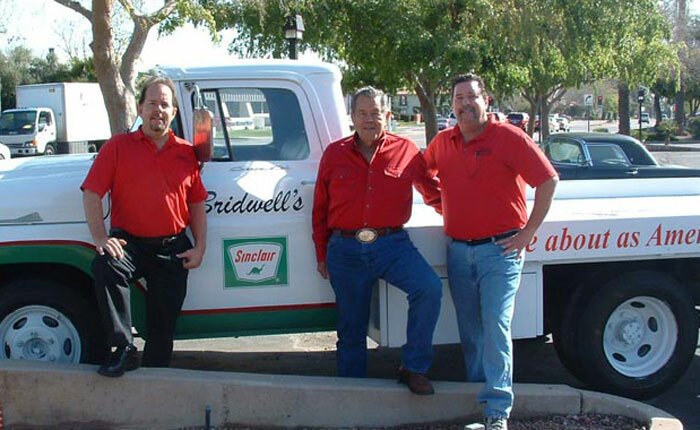 Bridwell Automotive Center has been providing high quality auto repairs with a strong focus on great customer service since 1970. Get your German auto repair done at Bridwell Automotive Center. Our Master ASE Automotive Technicians will quickly find and repair any problem you have with your Mercedes, BMW, Porsche, Audi, or Volkswagen. We are located at 7171 E Lincoln Dr. Scottsdale, Arizona 85253 on the SW corner of N Scottsdale Rd and E Lincoln Dr right across the street from Hilton Scottsdale Resort & Villas. If you are looking for German auto repair, German auto repair near me or German car service in Scottsdale, Bridwell Automotive Center can help!